Show and Tell Meg: Suave Can You Tell? Has Reset = Free Products! Suave Can You Tell? Has Reset = Free Products! Suave's 'Can You Tell?' game has reset! So, even if you have gotten the coupons before, you can get it again! 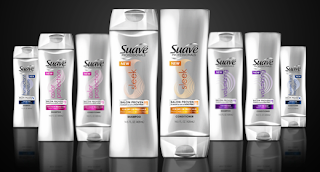 Just go here and watch each video and guess which model is using Suave Professionals and which is using a salon brand. (Hint - B, B, A, A, A, A, B, A). If you get at least 6 right you can get 2 free product coupons! I have done this a few times before and I was just able to do it again! Woo Hoo!